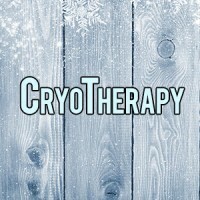 Cryotherapy – What Is It and What Are the Benefits? The coolest thing you can do to help combat muscle aches and inflammation post-exercise is something called Cryotherapy. It has been around for a few decades, but only started to gain popularity in North America about 4 years ago. Since then, Cryotherapy has exploded in popularity, with celebrity endorsements from professional athletes and television personalities like Joe Rogan. We had the opportunity to discuss whole body Cryotherapy with Mark Murdock, the managing partner at CryoUSA, the world’s largest distributor of Cryosaunas. But first let’s discuss what Cryotherapy is. Having never tried Cryotherapy before, we asked Mark to walk us through the process from start to finish. First time Cryotherapy goers undergo a brief 5-minute information period to help them understand the process. This is followed up by a few questions to ensure there will be no contraindications, which we will explore later in the article. The patient’s blood pressure is taken before every treatment, anything under 160 gives them the green-light. Now that all the ‘house-keeping’ is taken care of, you can start getting ready to step into the Cryosauna. Users strip down to nothing but a pair of socks, gloves and undies to help protect their extremities from the extreme cold. They step into the Cryo unit, close the door and then ring a bell to signify that they are ready to begin. A trained Cryotherapy attendant comes into the room once alerted and ensures the patient and the equipment are ready to go. The attendant is present during the entire Cryotherapy treatment. The actual treatment only takes between 2 and 3 minutes, afterwards the attendant leaves the room so the patient can exit the machine and get dressed. The whole socks, undies and gloves look isn’t too flattering, but don’t worry, once inside the Cryosauna everything is covered from the neck down. After the information period and first-time housekeeping is done, the whole process takes about 9 minutes from start to finish. Initially Cryotherapy was marketed towards athletes, used to help improve recovery and minimize muscle aches and pains by fighting inflammation. Inflammation isn’t just something athletes and gym-goers need to worry about though, it is the underlying cause and catalyst for virtually every known disease. Keeping inflammatory markers in check and preventing chronic inflammation is one of the best things you can do to help prevent disease. The detox benefits of Cryotherapy are also quite profound. Allowing the super-cooled air to circulate around you puts your body into panic mode. This purposely induces a kind of survival mode, the body floods itself with anti-inflammatory proteins and antioxidants to help protect itself from the sub-zero temperatures. Extreme cold also causes the body’s arteries, veins and capillaries to undergo an extreme vasoconstriction, followed by vasodilation after the treatment. 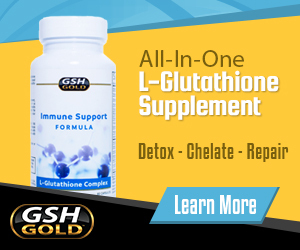 This allows for the release of built up toxins in rarely stimulated areas. Think of it as flushing your circulatory system. Whole body Cryotherapy treatments have been around for a while now, but the science behind them is rather limited. This makes it difficult to claim any health benefits, but by detoxifying the body and fighting inflammation you can infer there are quite a few. Many people say that Cryotherapy has helped them improve their metabolism and burn excess fat. When we examine the science behind how our body reacts to cold temperatures, it makes good sense that Cryotherapy could help some people shed some extra weight. There are a few things that could make you ineligible for whole body cryotherapy treatments; any history of heart disease, stroke, seizures, blood clots, cold sensitivity or pregnancy. 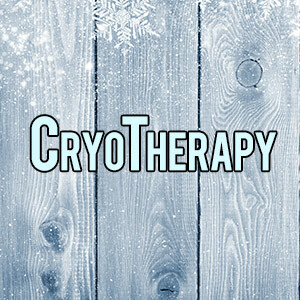 Under normal circumstances, when conducted by a trained professional, Cryotherapy is extremely safe. Mark Murdock from CryoUSA walked us through the procedure, there is always a trained and experienced Cryosauna operator present when the machine is running. Before anyone is authorized to operate a Cryosauna from CryoUSA they must first go through a detailed 3 hour information session. This is followed by a comprehensive test that they must have a total understanding of. Despite the sterling safety record of these machines, there was recently a fatality involving a Cryosauna in Las Vegas. An employee was using a machine alone after work hours, it wasn’t clear what exactly went wrong but she was found dead the next day. This incident shouldn’t alarm anyone who is thinking about trying Cryotherapy though, as there is always a trained attendant present during treatments. Mark Murdock helped put Cryotherapy on the map in North America. Mark has supplied Cryosauna units to over 150 independant business owners so far, and the number is growing rapidly. CryoUSA wants to see Cryotherapy stations on every block. Comparing Cryotherapy to deep tissue massages, Mark says Cryosaunas offer users a similar end result in a fraction of the time. Where a massage takes 30-60 minutes, a Cryo treatment only takes about 10. In our increasingly fast paced world and demand for immediate results, the Cryotherapy wave is sure to pick up even more steam. As we discussed earlier, the Cryotherapy trend largely began with athletes. Now, more than 60% of users aren’t athletes at all says Mark. 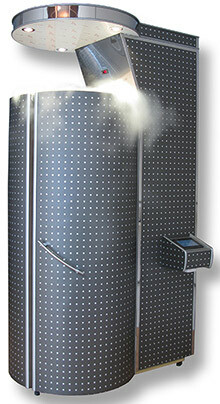 People are tuning into the plethora of potential health benefits of using a Cryosauna, and the word is spreading fast. “Everyday folks have access to the same treatments as professional athletes,” says Mark. CryoUSA is helping make the same treatment options that are available to elite athletes available to the average person. Check out CryoUSA for a complete list of locations and services.